Our Chardonnay is partially oaked, 50% is aged in French oak barrels for 3 months and 50% is in stainless steel tanks. The limited exposure to oak provides balance and structure without detracting from the fruit and terroir. 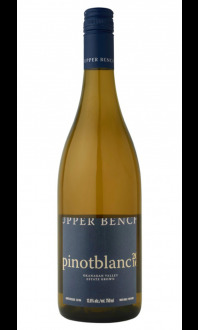 If you have not enjoyed Chardonnay in the past, we encourage you to try this one; it will change your mind! 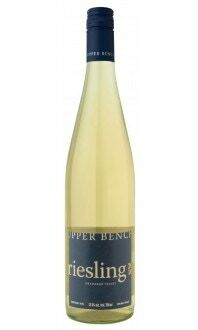 On the nose, it displays apricot, butterscotch, crème brûlée, meyer lemon, and tropical fruit. On the palate are notes of lemon, caramel, grapefruit, persimmon, and honeysuckle. The 2016 vintage was a featured wine in March's Wine Club package, 2018. Appearance: Bright, clear. Light gold core. Nose: Medium aromatic intensity. Lemon, banana, nectarine, baking spice. Palate: Medium body, medium acid. Lemon, citrus, butter, and a touch of white pepper. Quality: Very good quality. Only three months aged in oak, but the wild yeast fermentation packs a wonderful punch. The delicate hand with the amount of oak ageing really shows the experience of the winemaker. Drinking nicely now, but could age for 1-2 years. Has a pleasant, lingering finish. Food Pairing: Poached salmon in butter, Fettucine Alfredo, Chicken à la King, Croque-Monsieur, mango chicken salad, split pea and ham soup.